IVCC was involved in drilling of 13 Boreholes with depths from100-130 meters, using Straight Rotary Machines in weathered and fresh rock obtaining continuous samples using double tube coring equipment. Total drilling footage for 13 Boreholes was 1,690 meters. IVCC drilled 3 Boreholes on dry land with depths of up to 100 meters in Stage – 1. Total drilling carried out 265 meters. 7 Boreholes, up to depths of 100 meters, were drilled in the riverbed. 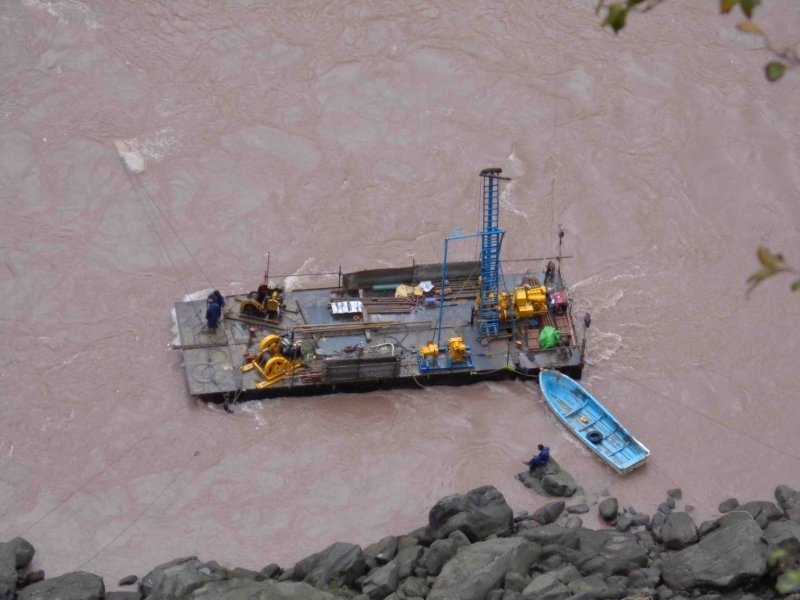 Stage -2 consisted of drilling 14 Boreholes on dry land up to depths of 100 meters. Total drilling carried out in Stage-1 and Stage-2, was 2,010.50 meters and 618 Packer Tests (water pressure tests) were also carried out. All drilling was carried out in weathered/ fresh rock obtaining continuous samples using double tube coring equipment in inclined holes drilled to the downward. Excavation (tunneling) of Exploratory 3 Adits (PD3, PD4 & PD5) (Size 2mx2m), was also conducted. Total drilling footage for these Adits was 235 meters. IVCC was also involved in the excavation (tunneling) of 5 Exploratory Adits (PD1, PD2, PD4, PD6 & PD8) and the size for these was 2mx2m. Total drilling footage for these 5 Adits was 244.10 meters.